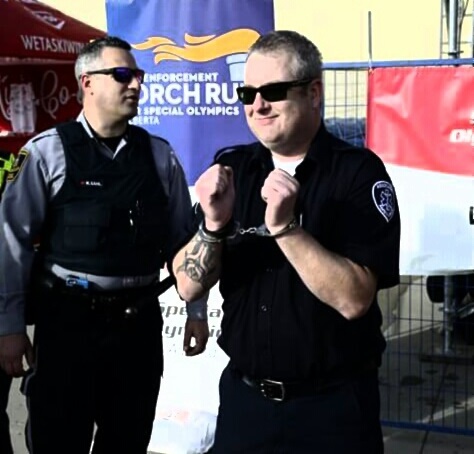 Raising Money for the Special Olympics and the Law Enforcement torch relay | Associated Ambulance & Services (Whitecourt) Ltd.
Shawn Moffit/Associated Ambulance-Mameo took part in a fundraiser for a Great Cause. 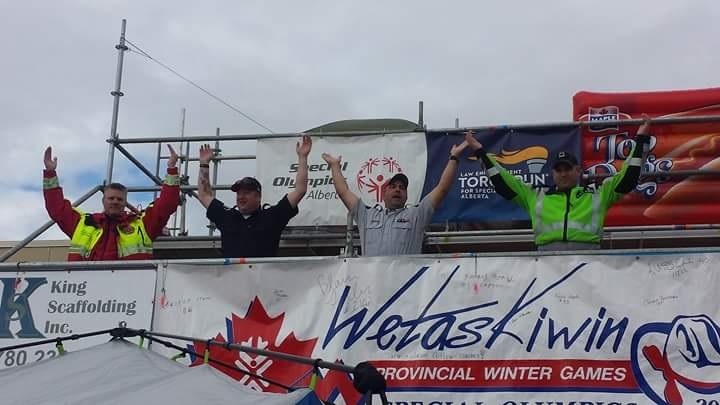 Mameo with Wetaskiwin fire, RCMP, and County of Wetaskiwin Peace Officers, 2015 free the finest, sleeping on the roof of Walmart to raise funds for Special Olympics and the Law Enforcement Torch Relay. Each member was arrested and sentenced to dance the YMCA for money and stay in the roof for 30 hrs.